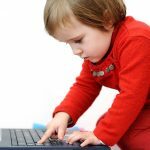 With children becoming tech savvy from an early age, even grandparents of very young children need to be vigilant when it comes to how children use the internet. From the rise in the amount of inappropriate content readily available and cyber bullying remaining rife, now more than ever is the time to get clued up. While the issue has become a huge one for mums and dads, it’s also a concern for grandparents particularly if you are looking after them more, fear not though there are plenty of things you can do and put in place to protect them online. Lyssa McGowan from Sky Broadband which last year made a commitment to introduce a whole-home parental controls solution shares her tips and advice and up-to-date info on the biggest risks in 2014. * HAVE A DISCUSSION & GET INVOLVED: Sounds simple but many grandparents are fearful of broaching the topic or don’t know where to start, but the reality is for many children there is no longer much distinction between their lives on and offline. Ask your grandchildren about what they and their friends are doing online, to try and understand where any risks may be. Have a discussion about what information is and isn’t appropriate for your grandchildren to share, and explain why. Discuss which social networks they use and ask them to inform you of any upsetting messages, making it clear you won’t get angry. * SWITCH ON PARENTAL CONTROL TOOLS: There are now some simple and easy-to-use filtering products available, which can help people make the right decisions for their homes. Different ISPs offer different types of filtering – for example Sky Broadband Shield uses a system of age ratings people will be familiar with – PG, 13, 18 – to decide the level of filtering to apply, and is available for free to their customers. * GET SAVVY ABOUT TECH: These days it’s not just about the PC in the corner of the room. In Sky homes there are on average 7 internet-connected devices, with everything from smartphones to TVs and games consoles that connect to the web. Look out for a ‘whole home’ parental control tool that allows you to filter sites across the devices in your home. * REGULARLY REVIEW YOUR PRIVACY SETTINGS: These can control who can view your grandchild’s profile on social networking sites and how much information, like photos and video they can see. Review these regularly on your grandchildren’s accounts – and yours too – as technology is continually being updated and settings may not automatically change to keep up. * SET BOUNDARIES: Parental controls are not just about blocking access to websites, they are a tool to help set boundaries. Some will allow you to easily amend filters at the touch of a button, so you can set filtering during specific timeframes, for example, to prevent your grandchildren accessing social networking sites during homework time. * KEEP TALKING: Young people use the internet to socialise and grow and, just as you guide and support them offline, you should be there for them online too. As they get older keep talking about how they are using the web, who they’re talking to and what they’re sharing. It is important to continue to discuss boundaries and how they are set so that they evolve along with your grandchild’s use of technology.